lead singer of the band, "DE BOYZ AN DEM", a local group of the 1960's. Dominica's longest running band, "The Swingin Stars". 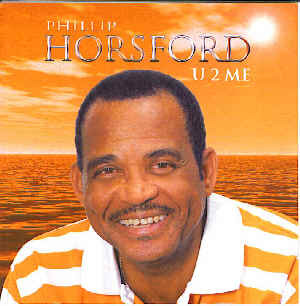 Fitzroy Williams who played keyboards with "De Boyz An Dem","Gaylords" and "Exile One"
produced this album along with Exile One guitarist, Julie Mourillon. Hot tracks on this CD includes Billy Joel's "Just the Way You Are"
and Billy Paul's "Me and Mrs.Jones".